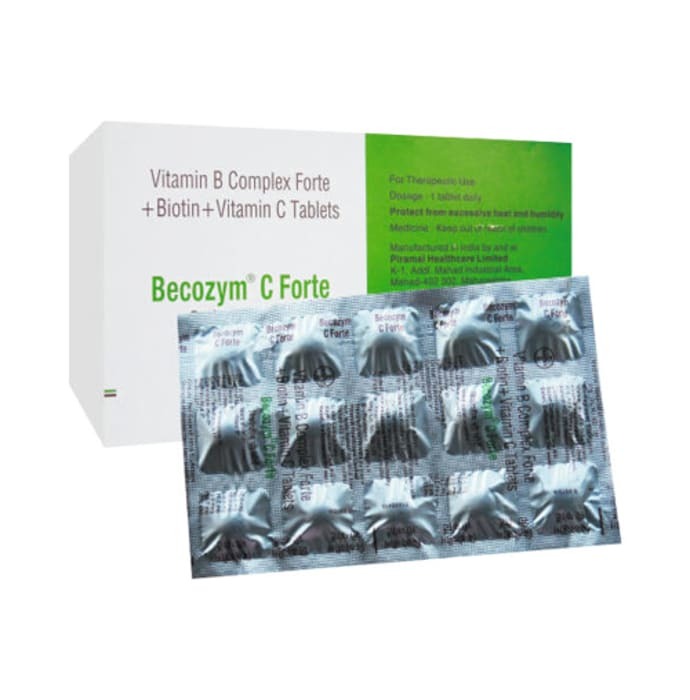 Becozyme C Forte Tablet is a combination of Vitamin B Complex and Folic acid. Vitamin B Complex is an essential nutrient that converts the food into energy. It also helps the body make healthy new cells and boost good cholesterol level. It works as an antioxidant, which is necessary for transporting oxygen throughout the body. A licensed pharmacy from your nearest location will deliver Becozym C Forte Tablet. Once the pharmacy accepts your order, the details of the pharmacy will be shared with you. Acceptance of your order is based on the validity of your prescription and the availability of this medicine.